Legionnaires’ disease is making a comeback. More than 40 years after the illness first struck a Philadelphia hotel in 1976, institutional and commercial facilities are experiencing a rise in reports of outbreaks and illnesses. The number of people with Legionnaires’ disease grew by nearly five times from 2000-2017, according to the Centers for Disease Control and Prevention (CDC). The resurgence of the disease presents several challenges for maintenance and engineering managers and their peers responsible for ensuring the indoor health of key facility systems. They must understand the conditions that can help Legionella bacteria flourish, as well as the equipment and components that are most likely to harbor it. Perhaps most importantly, they need to understand the steps they and their organizations can take to manage key systems more effectively in order to prevent outbreaks. Legionella bacteria of the specific type that causes illness in humans must be present in a building’s water supply. Legionella is commonly present in the environment, but it might not be the type that poses a risk to humans. Biofilm must be present on interior surfaces of equipment or distribution piping. These surfaces are where the bacteria can multiply and mature. In the biofilm, they are protected from eradication by normal levels of disinfectants. Bacteria can be released into the water stream by sloughing off pieces of biofilm due to pressure fluctuations and other disturbances. 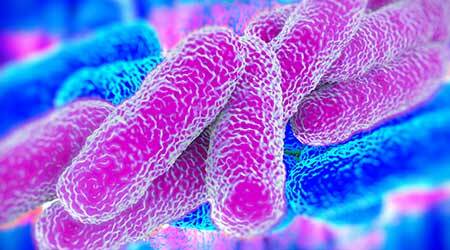 Legionella grows best in warm environments — at around 100 degrees. It grows at a slower pace below this temperature, and it dies more quickly above it. A person with a weakened immune system or respiratory illness must inhale or aspirate mature, Legionella-infected water droplets into the lungs in order to contract the disease. Entering the lungs is an important factor.